I know around here at this time of year it is hot, anything frozen, cool and fresh is so welcomed! Today the 29th is a bonus day where Yogurtland in Lakewood, CA is going to help us all out! 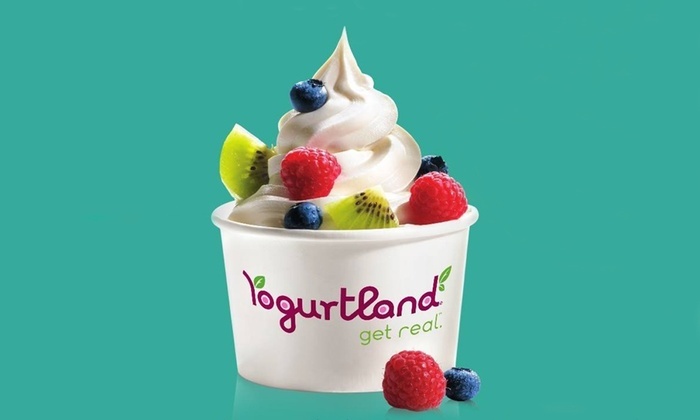 You can swirl it up today at Yogurtland in Lakewood, CA and get a $5.00 unlimited cup of frozen yogurt! If you are anything like me you are going to be jumping at this chance. You can find all of your favorite flavors and fill up with cool, creamy real yogurt for just five bucks! It is the perfect week for this special as it is supposed to be 105 today! I will take anything to help cool off! Get to your Yogurtland and swirl up all of your favorites, I know we are going at least once today! I love that Yogurtland uses real ingredients to make for real flavors. There are no fake flavors here, the strawberry yogurt has real strawberries in it and you can see the seeds still when it come out! With more than 200 flavors, I am sure you are going to be able to find one that is just your favorite! Yogurtland has awesome Flavorologists and they know it is important to get the flavors just right! Check them out TODAY!! It is $5 swirl it up day!